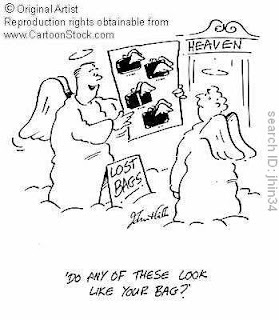 You must have heard that old LIAT (Luggage In Another Terminal) joke. Well, it has happened to me and, no doubt, to many others also. But that was then; this is now?This time I arrived on time and so did my luggage, on time and in the same plane, on all LIAT journeys. Caribbean travel can be fun, if you're not on serious business and with a tight schedule... as happened to me on other journeys in the recent past. It was 2007 - The plan - jump off a plane in Barbados at 9a.m., scoot into a waiting, pre-arranged taxi; whizz off to the other side of the island for one early morning meeting and then squeeze in another mid-morning in Bridgetown on the way back to the airport - mid-day check-in for a 2p.m. flight to St. Lucia. Sounds tight? Well it was not even tight until my suitcase did not arrive with me. As you can imagine more than precious moments were lost while being reassured that it was on its way and would arrive to meet me in time to travel on to my next destination. Needless to say it was a very nervous passenger who arrived back at the airport at id-day to check in and find out if my luggage awaited me. And it did. Luckily, that time. So remember, don't expect that your luggage is always ready to take off when you are.